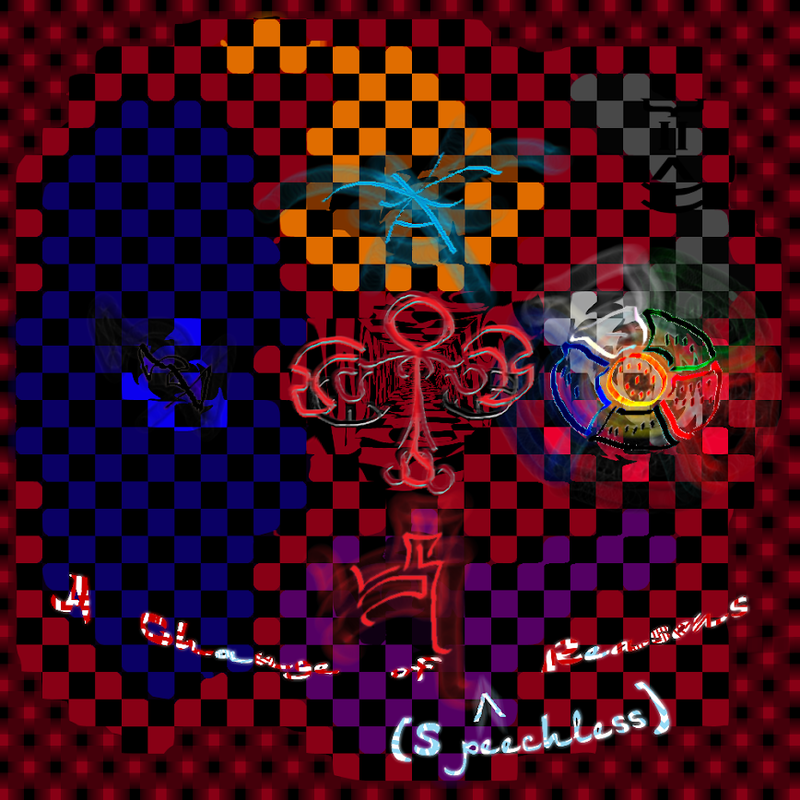 SHM052: Red Ankh – A Change of (Speechless) Reasons EP – Officially released in 2010, this is an instrumental progressive metal extended play by Red Ankh. It consists of a single twenty three minute minute twenty four second long song that touches on European folk, jazz, gabber, psychedelic trance, industrial, and drill and bass among other things. The song uses four different styles of percussion: a typical heavy metal kit, a distorted, digital bass drum, a trance kick drum, and a synthetic break beat kit. These four are used for different styles of rhythm, and are some times mashed together to create a state of wild mania. It begins with two soft sounding synths, a rhythm guitar, the drums, and a piano. As the song progresses other sounds are added, and create new layers during reprises. A viola, bag pipes, a harder square synth, accoustic guitar, trumpet section, and finally choir are added over time. There is an electronic music movement in the beginning segment, a folk movement around the middle, and a dark metal movement near the end. It focuses mainly on catchy melodies and bridges between them, rather than extended soloing or jamming. It is a huge track, not just because of its length. It also is the first Shyfted Minds title to have traveled back in time to be released, greedily preceding the first Shyft remix album (SHM050) and Throw Me a Happycore Record (SHM051). What’s more: the title is a nod to Dream Theater’s A Change of Seasons.